Kirk Muller, Dave Hakstol, and Lindy Ruff are expected to join head coach Alain Vigneault's coaching staff for Team Canada at the upcoming World Championship. Team Canada expected to announce its entire coaching staff this week. Hearing Kirk Muller, Dave Hakstol and Lindy Ruff to join Alain Vigneault at the Worlds. TSN Hockey Insider Darren Dreger reported the three should be announced along with Vigneault by Hockey Canada sometime this week. Muller, who is currently an assistant on the Montreal Canadiens coaching staff, coached the Carolina Hurricanes from 2011-12 to 2013-14, finishing with an 80-80-27 record. Hakstol was fired by the Philadelphia Flyers halfway through this past season after three and a half years with the club. Hakstol had a 134-101-42 record with the Flyers. Ruff was last a head coach with the Dallas Stars from 2013-14 to 2016-17. 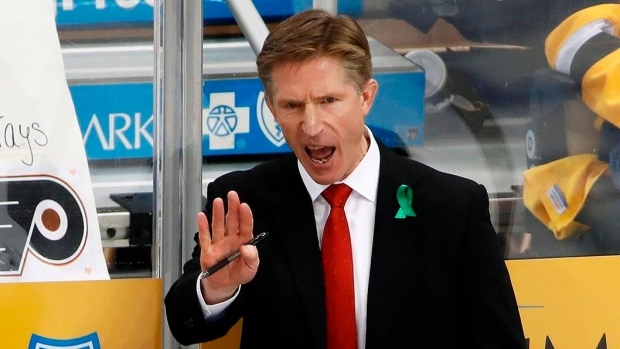 The long-time Buffalo Sabres head coach has an overall record of 736-554-78 as a head coach in the NHL and is currently an assistant with the Rangers.